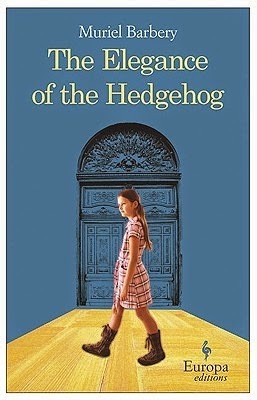 I chanced upon by The Elegance of a Hedgehog in my piles of books and suddenly felt a wave of nostalgia, remembering how much I loved it. I read this after a long blogging hiatus and it struck a chord in me with it's simple messages of friendship. Check out my review here. I decided that it was the perfect thing to show off my blue bunny bookmark, a gift from one of my nieces (she knew I liked kawaii). I think he looks quite cute with his head poking out. And now, I'm missing my niece. 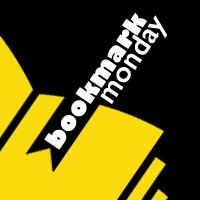 Do you get all emotional seeing old books and old bookmarks? 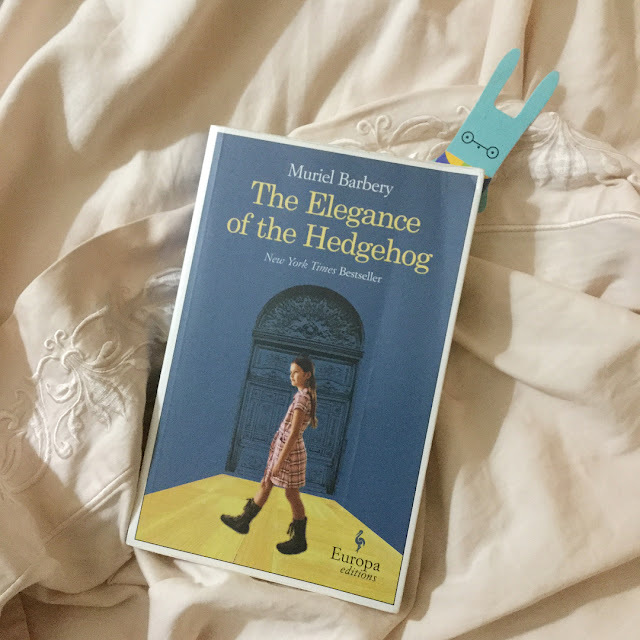 About The Elegance of the Hedgehog by Muriel Barbery*: We are in the center of Paris, in an elegant apartment building inhabited by bourgeois families. Renée, the concierge, is witness to the lavish but vacuous lives of her numerous employers. Outwardly she conforms to every stereotype of the concierge: fat, cantankerous, addicted to television. Yet, unbeknownst to her employers, Renée is a cultured autodidact who adores art, philosophy, music, and Japanese culture. With humor and intelligence she scrutinizes the lives of the building's tenants, who for their part are barely aware of her existence.